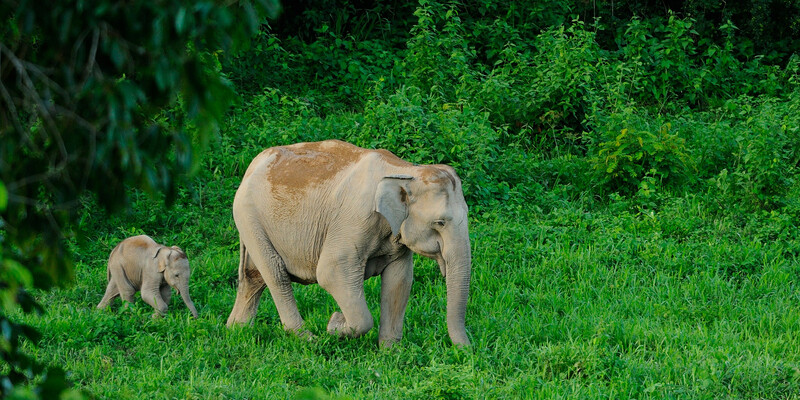 This park offers the best chance (99%) to see the Asian elephant in the wild and other wildlife. Other animals that can be seen very often in the park are; gaurs, elephants, golden jackals, leopards, deers, bantengs, langurs and more. This due to the easily accessible large open areas. The park is also home to one of the biggest population of gaurs in Thailand. It is possible to rent a tent on a camp site or to rent a bungalow in the park. The park has permitted areas where visitors are not allowed to enter with their own vehicles. The park is two hours driving south of Hua Hin.